I have no idea what I'm thinking! I am probably one of the worst people ever at completing challenges. But it's that time of year when I'm incredibly optimistic about next year's reading! So here's my list (for now) of the challenges that I'm going to do during 2011! 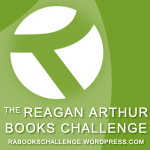 The Reagan Arthur Books Challenge is an ongoing challenge that Kathy/Bermudaonion and I are hosting. I'm really embarrassed about how little of the books I've read for this challenge, especially since 1) I'm co-hosting it, and 2) the books are amazing! I just want to extend the invitation for everyone to join this stress-free challenge. We have lots of giveaways and fun ideas for the new year! The Amy Einhorn Books Perpetual Challenge is another ongoing challenge that I've been participating in. I'm not doing so well with this one either, but I do have a lot of the books in my TBR pile. I am certain that I will do better this year! 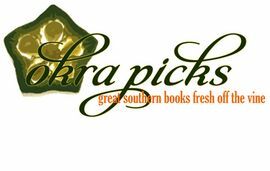 The Okra Picks Challenge is being hosted by Kathy/Bermudaonion, and it goes through March, 2011. I'm actually not doing awful on this one -- I've already read four of the books! 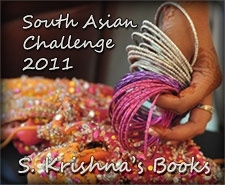 The Middle Grade Book Challenge is now hosted by Cindy's Love of Books and runs through August 2011. Between reading with my daughter and our Mother/Daughter Book Club, this one shouldn't be too difficult for me to complete. I'm Mad for Maisie isn't exactly a challenge, rather it's a read along. I'm not certain if I can keep up with all of the books that Book Club Girl has scheduled, but I'm going to do my best. I read the first Maisie book for my book club many years ago and I loved it! The South Asian Challenge 2011 is hosted by my friend S. Krishna. I signed up for this one last year and thought I'd have no problems completing it; however, I failed miserably! It's so ironic because I love books that take place in other cultures. I firmly intend to do better this time around, and I'm signing up for 3 books. This is my first year to participate in the War Through The Generations Reading Challenge 2011 hosted by Anna and Serena. I've wanted to do this challenge for the past few years, but the Civil War theme finally pushed me over the edge. I love books that take place during this time period, and I'm extremely excited about this challenge! I'm signing up for 3 books. This one is just too tempting...a food challenge! Joyfully Retired is hosting the Foodie's Reading Challenge! I'm going to sign up for the Glutton Level -- more than 12 books. What more can I really say? Oh yeah! And I'm toying with the idea of running The Shelf Discovery Challenge II during 2011. I absolutely loved this challenge, and so many of the books I read brought back such amazing memories. I'm curious if anyone else is interested? I worry about challenge overload! Or are you like me, and just join them for the fun and not worry about whether or not I complete all of them? Happy New Year and Hapy reading! Wow, you are ambitious. I haven't decided on my 2011 challenges yet. I think at least a couple of yours are going to make my list. We're doing a lot of the same challenges - maybe we can "encourage" each other! 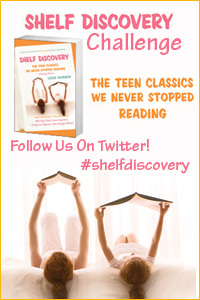 I hope you do the Shelf Discovery Challenge again - it was so much fun! So glad you're joining us for the Civil War Challenge. Hope you had a wonderful Christmas! Wishing you all the best in the new year. Wow, I'm impressed by the number of challenges you're considering. 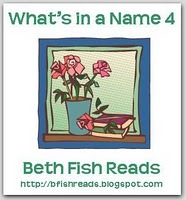 I read so many books in a year, but I don't often categorize them with a reading challenge. It seems like a fun way to do it. Good luck, and I'll be following along to read the reviews you post. Well, I could have written this post -- everything but the middle grade reader. If you do Shelf Discovery again, I'll try it (even tho I failed last time). Thanks for mentioning Amy Einhorn. I should do a post about my continuing challenges. I mean the continuing challenges I'm in -- including the Reagan Arthur and Okra Picks. I'm in if you do a Shelf Discovery II challenge - and I promise I'll do better this time! Julie I am so happy that you plan on doing the middle grade Challenge. I am thinking of making a year to year challenge instead of the way it is now. I think I might do the shelf discovery one if you do it. Quite an ambitious list. I'm keeping mine small. I did sign up for the Reagan Arthur Challenge and I will hopefully read the two that I already own. Although this post is tempting, I am sticking with the 2-3 challenges I have joined. I love that beginning-of-the-year optimism. Even if you don't complete every challenge, I bet you'll have a lovely time trying! Yay! I'm so glad you're joining the Maisie Dobbs Read-Along! And you see how I subtly made it seem not that hard and like a challenge?? ;) it will be fun! and I'm in for another Shelf Discovery challenge! Sorry to be s o late in stopping by, but I just wanted to say thanks for joining in on the Foodie's Readoing Challenge. Your challenge list is pretty ambitious but I'm sure you can do it. Good luck.